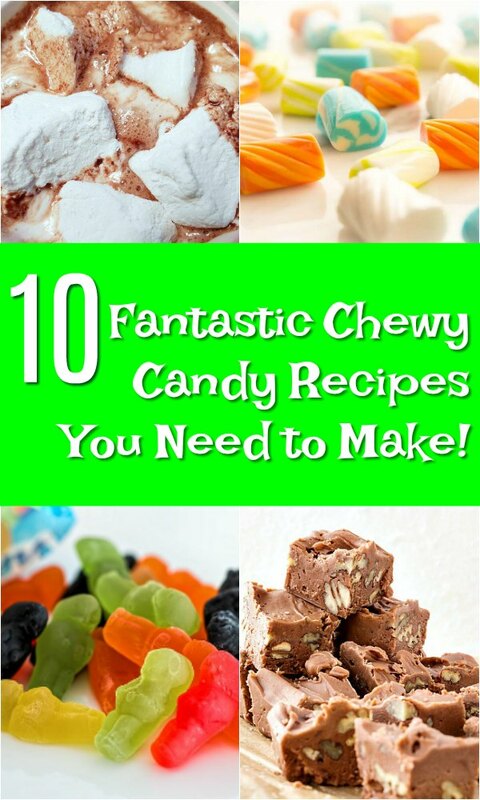 Home » 10 Fantastic Chewy Candy Recipes You Need to Make! Candy is kind of the best. And chewy candy is the best of the best, because chewing is so satisfying. I think you will really enjoy this round up of chewy candy recipes. Some of these candy recipes are my own while others are from around the Internet. 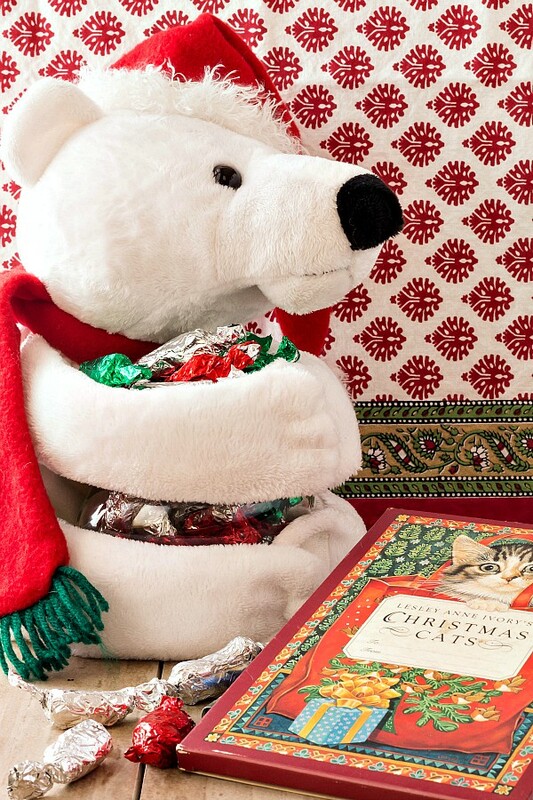 All will satisfy your need to chew while you savor! 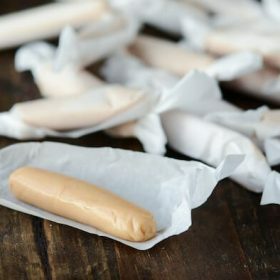 One of my favorite homemade candies, homemade Tootsie rolls are super chewy and delicious. This version is chocolate orange. 3 What Is the Best Temperature for Making Chewy Candy Recipes? The most important thing to remember about making chewy candy recipes is the temperature you cook your sugar to has everything to do with the texture of your candy once it cools. If you don’t cook it hot enough, you’ll end up with a soft candy or even a sauce. If you cook it too hot, you’ll end up with a crunchy candy. And the worst for dental work: hard candy that turns super chewy and then sticks your teeth together. Yikes! I have a stages of sugar chart that you should find helpful in figuring out how hot to cook your candy to get the texture you want. Another way to get a chewy candy is to add pectin or gelatin. 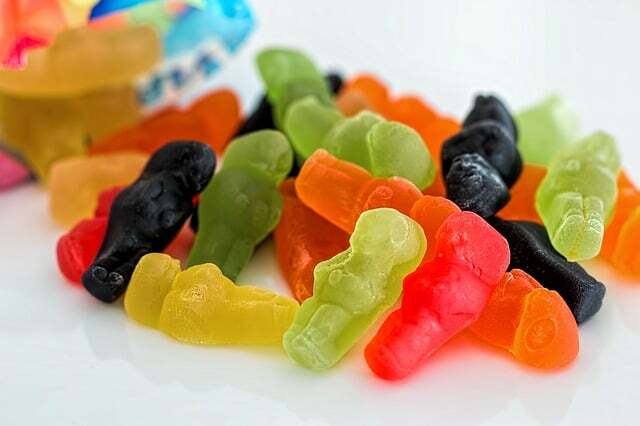 Aside from the temperature of the sugar, you can also make chewy candies by adding either pectin or gelatin, like for gummy worms, marshmallows or other fruit chews. The temperature is still important, but the pectin or gelatin adds body and mouthfeel. 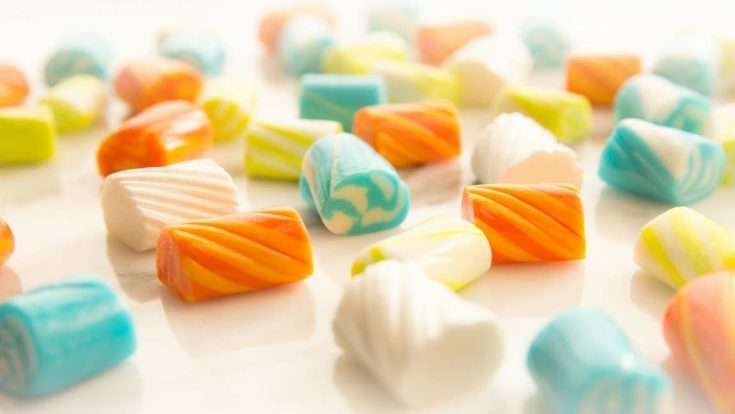 What Is the Best Temperature for Making Chewy Candy Recipes? For candies that contain pectin or gelatin, the ideal temperature range is between 223F (pate de fruits) and 244F (marshmallows). For other candies that don’t contain pectin or gelatin, the “chewy range” is between about 245F and 270F. It’s also really important to have an accurate thermometer, whether you get an instant read type or a clip-on type. Here are some great chewy candy recipes. Some contain gelatin or pectin, and some get their body mainly from the temperature you cook the sugar. Enjoy! To be fair, to make traditional butterscotch, this would be a hard candy. 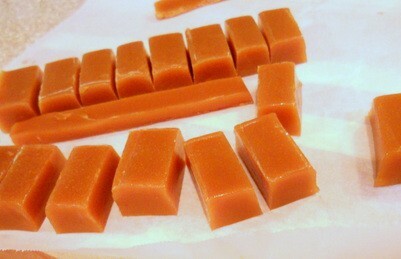 But I love butterscotch flavor and wanted to make soft candy, so there you go. This is an old school recipe and appears to be the original formula for English butterscotch--very molasses forward and different from what Americans think of when they think of butterscotch. 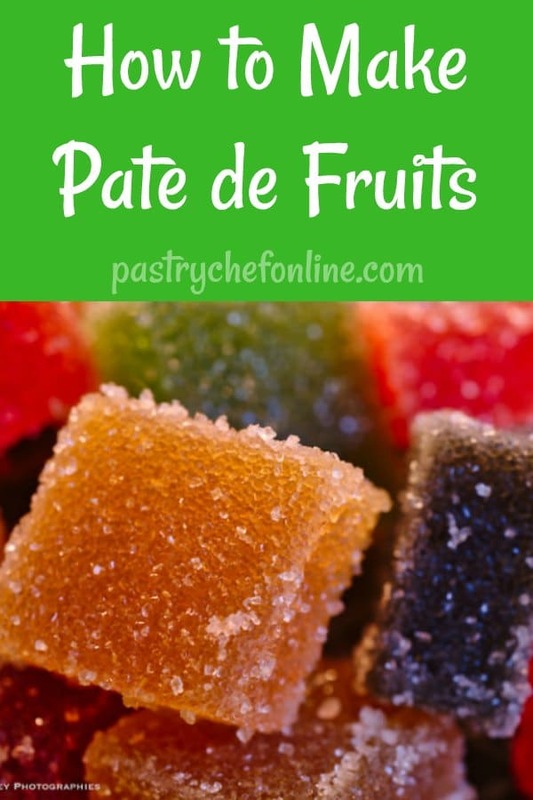 Pate de fruit is pretty magical. Not gummy, but intensely fruity and somewhat chewy, it's a magical French candy rolled in sugar. Homemade marshmallows, along with a video and a step by step guide. These are what I'll call "American marshmallows" since they don't contain egg whites. This is a very old-school fudge recipe. 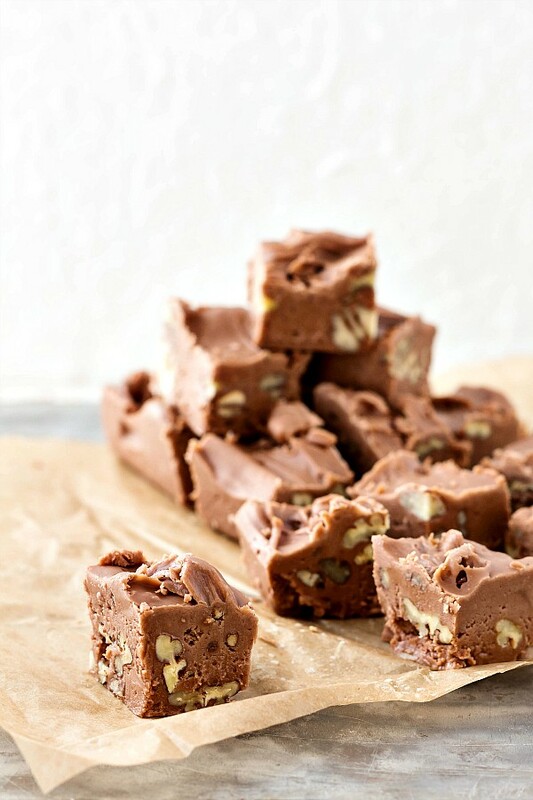 A reader sent in the ingredient list, and I helped with the procedure so her family could enjoy their grandma's fudge again. These homemade Tootie Rolls walk the line between chewy and filling-pulling. But dang, they're delicious! 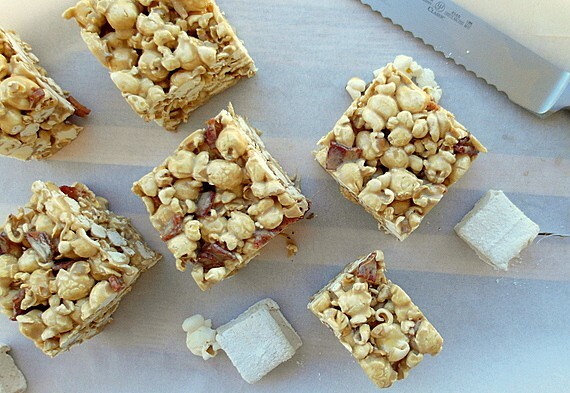 Made with homemade coffee marshmallows, bacon, and maple syrup, these "Krispie Treats" are like breakfast candy made with popcorn. 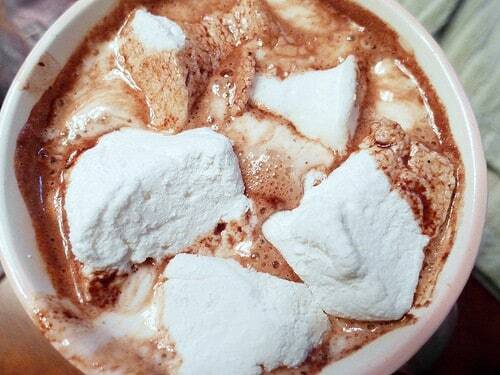 You can also make these with store-bought mallows. This post contains a live hangout where I made both caramel sauce and caramel candy. And I dipped some of the caramel in chocolate, so there's that. No written recipe, but you can click on the video to read the video description on YouTube. That's where you'll find the ingredient list. Enjoy! This recipe uses sous vide technique and some specialized ingredients, but at the end of the day, you're making homemade Starburst, so that is pretty cool! 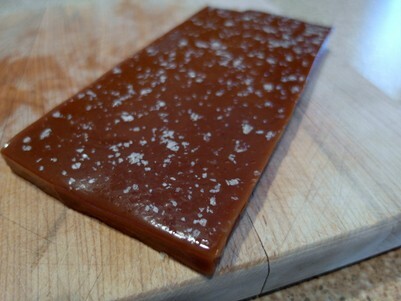 A chewy, cinnamon flavored dulce de leche. Yeah, I'm all over this one! 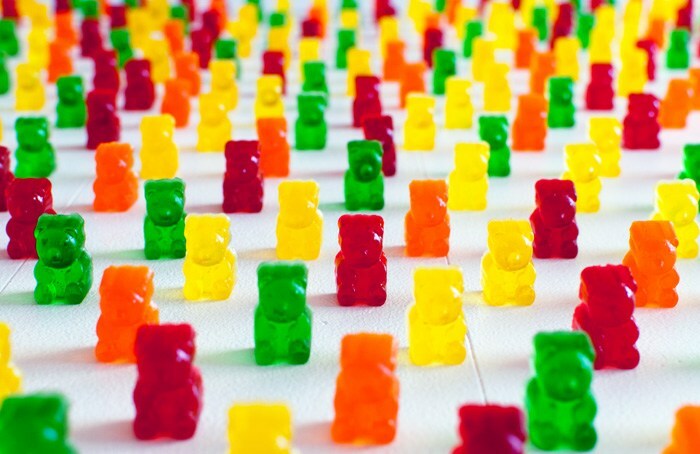 Homemade gummy bears! Great instructions and explanations in this post too. And there you have it, friends. 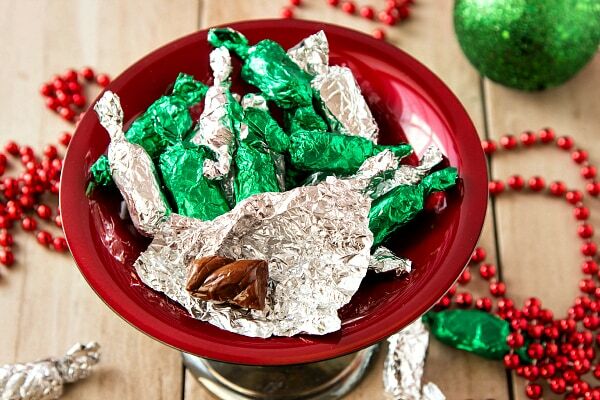 Ten amazing chewy candy recipes for you to make and enjoy at home, or to give as gifts. Chewing is so good for the jawline. I suppose chewing sweet candies are so satisifying. A good read.